IWDM – K is proud of being one and only centre in South India among the five centers at the national level offered by IGNOU. Students from all over the State and also from Lakshadeep have been undergoing the course in IWDM-K. Subjects covered : Management of natural resources, farm resources and human resources. 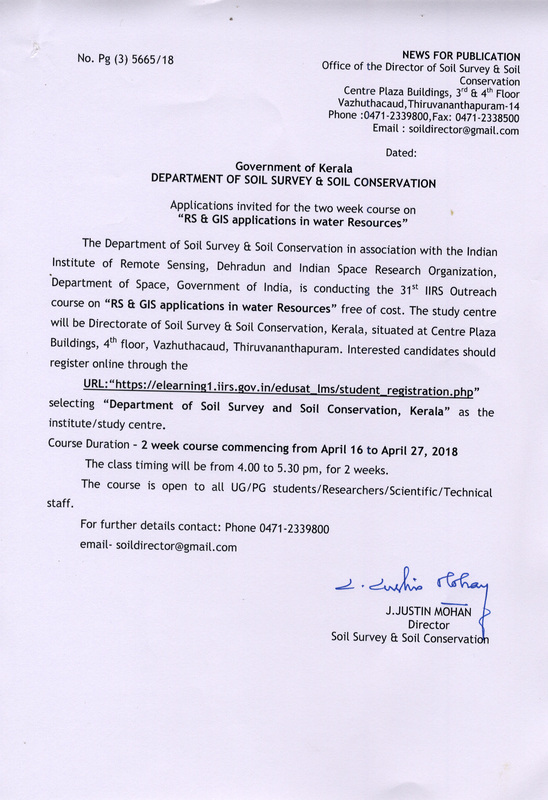 Certificate Course in Water Harvesting & Management (CWHM) : The programme focus on imparting awareness on water resources, water harvesting techniques and enable the learners to act as trainers and organizers for efficient water harvesting. Course fee : Rs. 2000/. Post Graduate Diploma Course in Plantation Management (PGDPM) : The objective of the programme is to develop competent professionals in plantation industry and upgrage the technical proficiency of professional working in plantation industry. 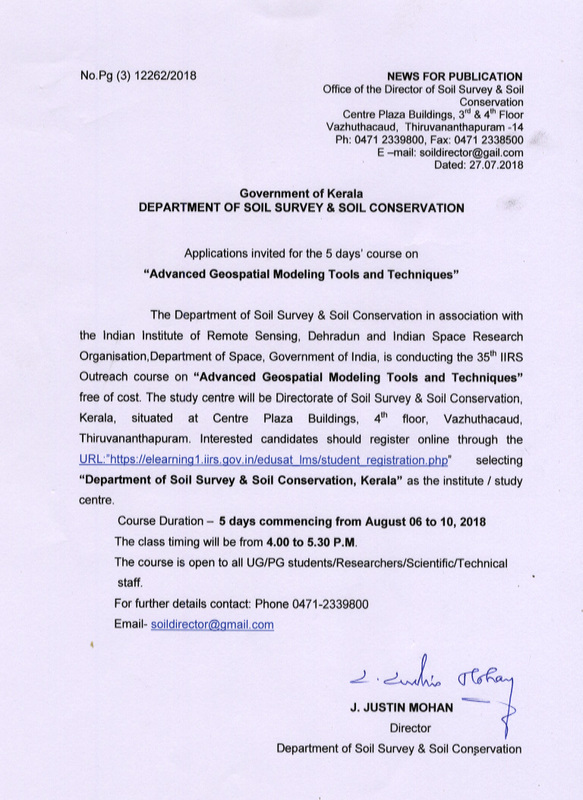 The Directorate of Soil Survey and Soil conservation has been identified as an outreach study centre of the Indian Institute of Remote Sensing, Dehradun. The Indian Institute of Remote Sensing (IIRS), unit of Indian Space Research Organisation (ISRO), Department of Space, Government of India is a premier education, training and research institute for capacity building in the field of Remote Sensing, Geo-information, positioning & navigation technology and its applications. Fifteen courses have been completed so far at the centre. Sixteenth course is ongoing now.